When it comes to a weekday lunch it’s no secret that connivence is key but too often taste has to be compromised because of this. Whether it is a jerk boss who only gives you a short time to take your lunch break or that sorry brown bag lunch you’ve brought for the last three years, don’t you think it’s time you deserve something better? Villa-O’s new offering, the Presto Piatti, allows patrons to have a delicious meal that is both quick and affordable. 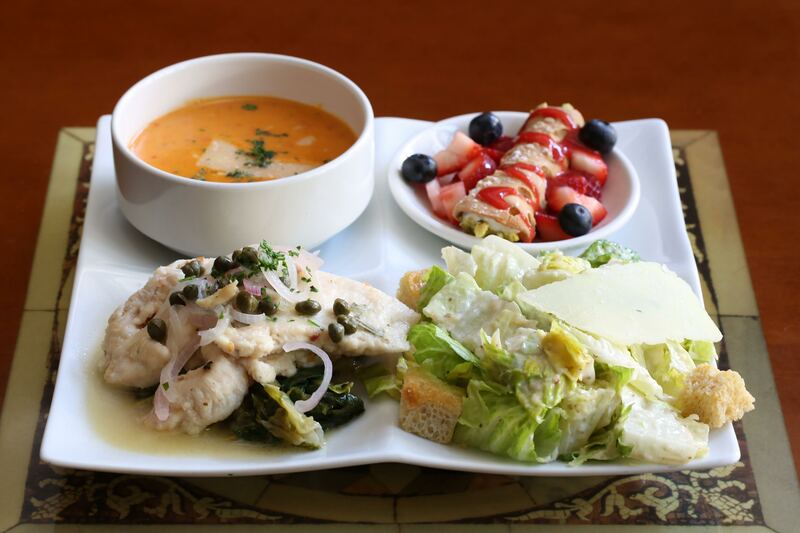 For just $13, the Presto Piatti is basically a lunch-portioned size sampler platter of the soup of the day, your choice of caesar or chopped salad, your choice of entree AND your choice of a cannoli or tiramisu for dessert. Of course, on top with the Presto Piatti, Villa-O offers their regular lunch menu with delicious items that can be ordered alongside this special deal. I mean, could it get easier? So, be the offices new favorite person and make reservations to check it out with your co-workers or just sit at the bar and space out by yourself (oh, is that just me?). The Presto Piatti is offered from 11am-4pm Monday through Friday and you may want to get those matches ready to because you’ll be ready to burn those brown bags after trying this, baby!